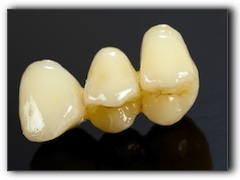 If you have a missing tooth and want to restore that gap in your mouth, it is essential to look at the differences between a dental bridge and a tooth implant. Will curtail the risk of bone recession (as compared to a bridge) because it replaces the tooth root. If you need to replace a tooth, talk to your Anchorage dentist about dental financing options.If you pick a dental implant, it will probably be less pricey in the long run. If you want to learn more about dental implants, I invite you to call Excellence In Dentistry at (907) 349-0022. I am Dr. Kirk Johnson, and I am dedicated to restoring smiles for my Eagle River area patients with brilliant permanent restodrations. Call today to schedule a dental implant consultation at my Anchorage office.